According to Forrester, a DBA in a large enterprise manages between 8 and 275 databases, with the industry average being 40 databases to a DBA. Larger databases usually require extra effort around tuning, backup, recovery and upgrade. Cloud, as well as automation and management tools can help improve the number of databases managed by one DBA. 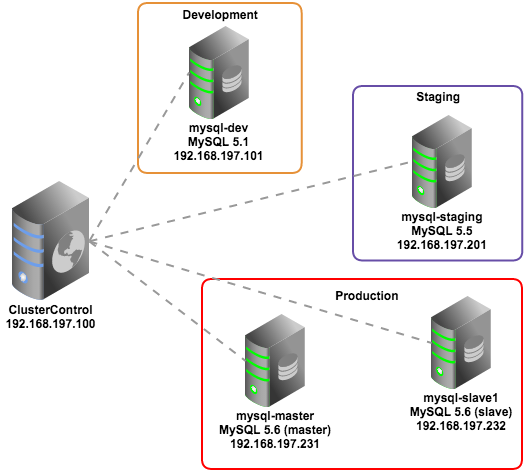 With that background, we were pretty excited to introduce support for management of single-instance MySQL and MariaDB databases in ClusterControl 1.2.6. The majority, if not all of the cluster users out there, use single-instance or master-slave replicated setups along their mission-critical clusters. 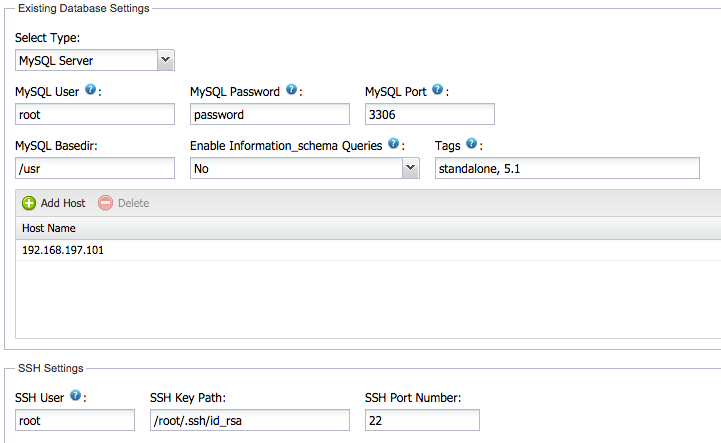 So today, it is possible to manage an entire MySQL/MariaDB environment from one interface. Ok, so what about Nagios or Zabbix? Unless Nagios is deploying your instances, scaling them, recovering them if they fail, taking backups, upgrading them to newer versions, telling you about slow running queries or suboptimal configuration parameters, we’d argue that you probably ought to look into a management tool. In today’s blog post, we’ll show you how you set that up. This will automate the installation of ClusterControl, but you can read more about this in the ClusterControl Quick Start Guide. You do not need to install any agent on the database hosts, but ClusterControl needs to be able to SSH into them and connect to the database instance to gather statistics. 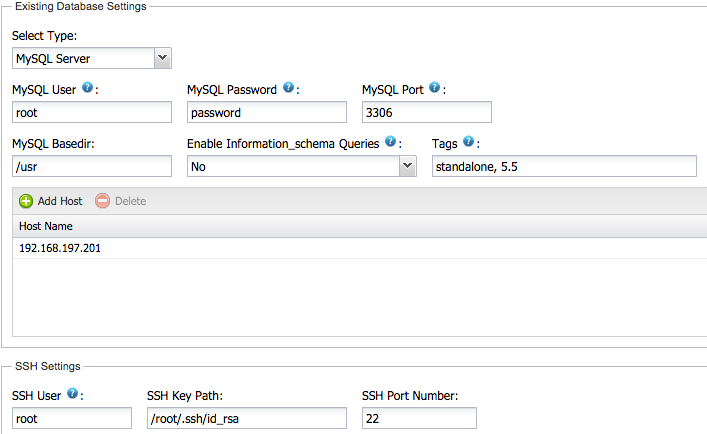 We assume your MySQL instances have been configured with a root password. ** 0.0.0.0 means MySQL is listening on all interfaces of that host. 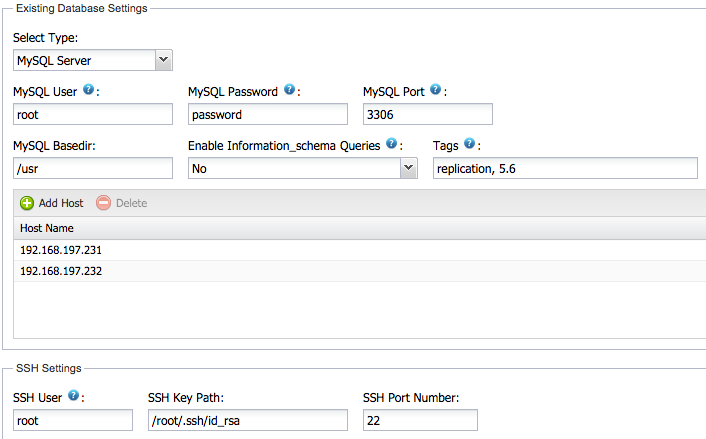 $ ssh [user]@[IP address] "ls /root"
$ ssh -t [user]@[IP address] "sudo ls /root"
Verify controller host and cmon password. Verify the SSH connection to database host. Congratulations, you can now start managing all your instances from ClusterControl. So, what do you get with ClusterControl? How many instances do I have? How are my databases growing/shrinking? Will I be running out of resources, or do I need to add more RAM, CPU or disk? Are there any slow queries that should be tuned or cached in the application layer? What versions are they on? ClusterControl > Settings > Query Monitor and set Query Sample Time to more than 1. 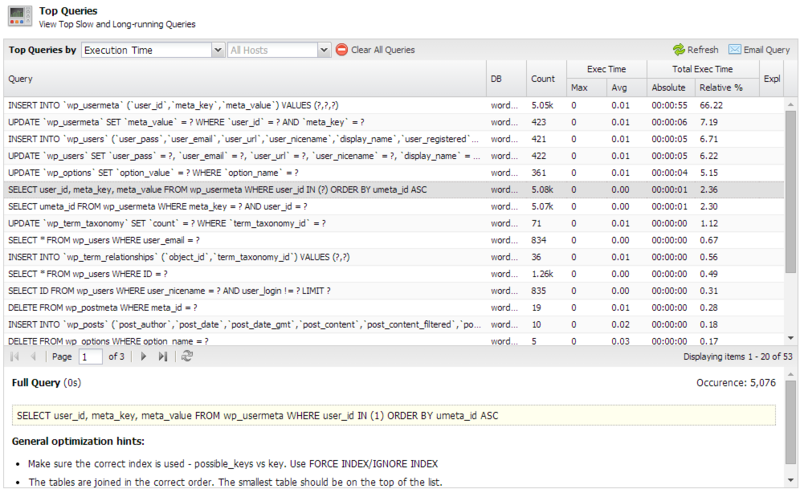 For details on this, please refer to Top Queries section under ClusterControl User Guide for MySQL. The health of a MySQL server may vary over time, as schemas, application workloads or available resources might change. ClusterControl automatically examines your database configurations and performance levels, and identifies any deviations from best practice rules. This is an effective way to make sure your database is always operating at its optimal potential. This allows you to get alerted in case of problems coming from your database instance, or from the host it is running on. 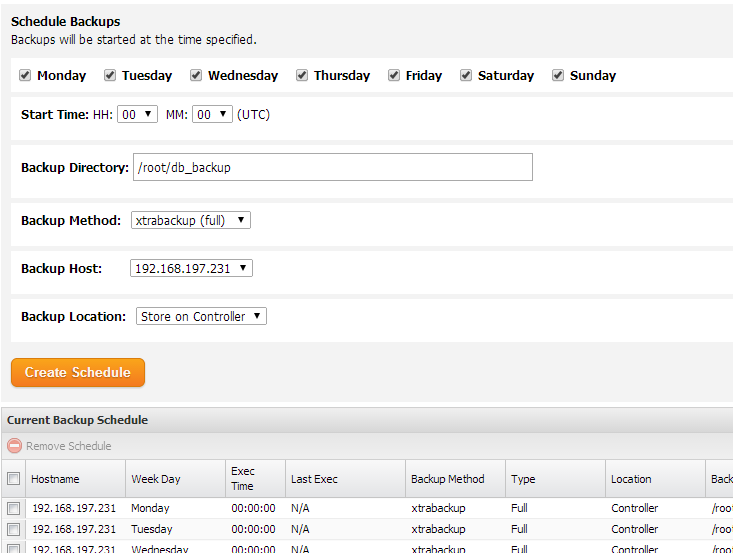 You can easily schedule full or incremental backups across your instances using XtraBackup. There’s plenty more features to discover, e.g. deployment of instances or restart in case of failure. 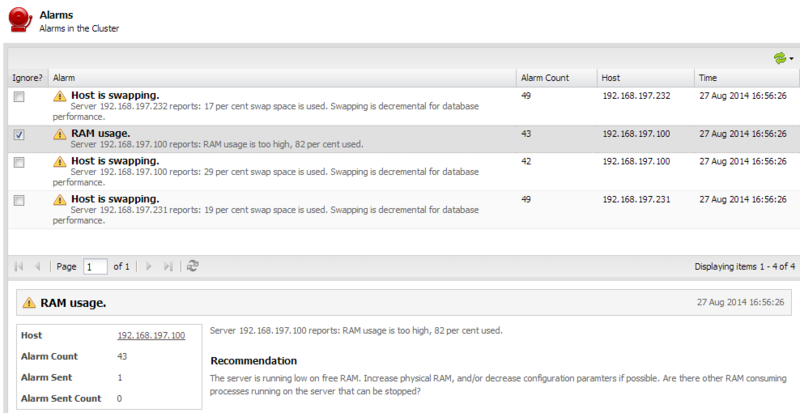 Give it a try, and let us know if it allows you to manage more databases.